As Yom Kippur begins this evening, one of the traditional greetings for Yom Kippur is “have an easy fast”. “This is to be a lasting ordinance for you: On the tenth day of the seventh month you must deny yourselves and not do any work –whether native- born or an alien living among you– because on this day atonement will be made for you, to cleanse you. Then, before the Lord, you will be clean from all your sins. It is a sabbath of rest, and you must deny yourselves; it is a lasting ordinance." Denying ourselves is not supposed to be easy. We don’t want an easy fast. We want to have a beneficial fast. We want a life changing fast. We want to understand better what it means to, as Isaiah 58:14 (Haftarah for Yom Kippur) says, “find your joy in The Lord”. We find it by denying ourselves our regular work. We find it by denying ourselves our regular food for 25 hours. We prepare ourselves to allow the atonement that God has freely given through Yeshua to settle in our hearts and minds. We want a life changing fast. We want to be made more in the likeness of our Messiah. We want, this year, to be forgiven. To know we are forgiven. To delight in The Lord, the God of our fathers and all He has done in the person of Yeshua! Have a great, awesome, hard, painful, encouraging 25 hours of fasting. So that when we come through it, we can delight in our God together and sound the Shofar again at the closing service on Wednesday knowing that God was faithful to hear our prayers. 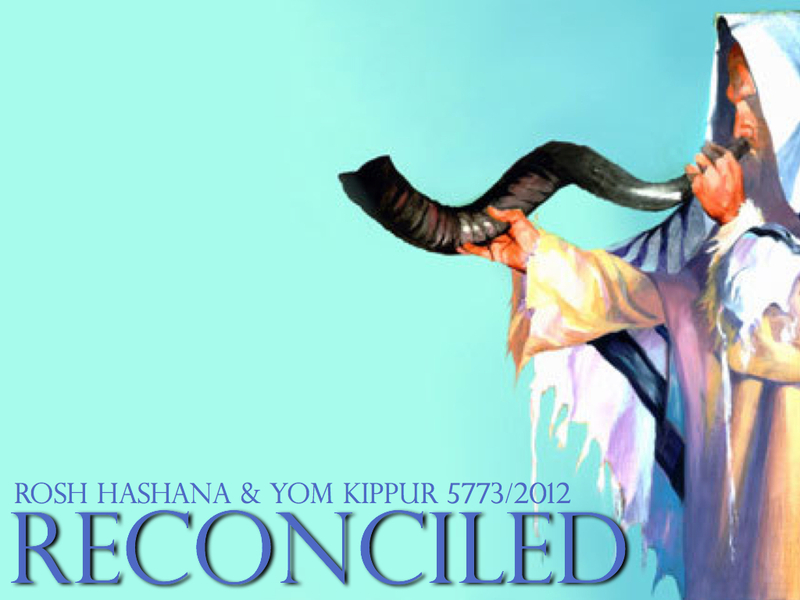 Click here for info and details on service for Yom Kippur & Sukkot @ Beit Messiah! 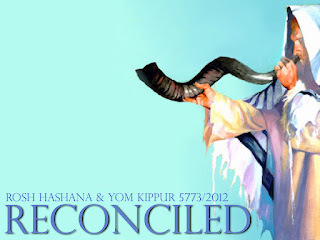 Click here to listen to my preaching series “Reconciled” for Rosh Hashana and Yom Kippur. 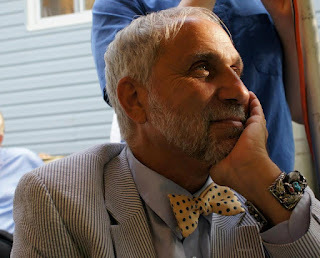 Jhan Moskowitz passed away today (Sept. 5th, 2012). He was a friend and an incredible preacher. He loved to wear bowties and was madly in love with his wife Melissa. He always smiled. Jhan had one of those faces that were very calming. It was a good face. A friendly face. He made everyone feel like he was their best friend because in the moment we spoke with him we were. He always cared what was happening in my life and pushed me to follow my passion and calling. He worked hard to share the love of God with everyone becasue of his love for Yeshua and our Jewish people. Paul wrote in Romans 10:1, "Brothers, my heart’s deepest desire and my prayer to God for Israel is for their salvation." This was Jhan's deepest desire as well. As one of the founders of Jews for Jesus (J4J) he had great influence on the whole Messianic Jewish movement. Wether you agree with the way J4J goes about evangelism or not you cannot argue with the fact that it has made a mark on the world and Jhan was a major part of that impact. He had great love for my generation and was there to support us at the Asheville Music Festival (AMF) just last month. A few years ago, at The Bourough Park Symposium II, I spoke on a panel of next generation leaders. I thanked my dad's generation for all that they have done and for the examples that they are to us. I wanted them to know that they are giants of the faith for us. I apologized for not giving them as much honor as we want to from one generation to another. After the panel Jhan came to me and said with tears in his eyes, "I want to thank you for making us proud and for telling us we have done well in you and your generation." It meant a lot to me. I am proud to have known Jhan. To count him as a friend. I am praying for Melissa, Kayla and Jessie. I cannot imagine the pain of such a sudden loss. Jhan loved the God of our fathers with all of his heart. He loved people with all of his heart. I want to be like Jhan and leave a legacy like the one he is leaving behind. When Yeshua was asked, “Rabbi, which of the mitzvot in the Torah is the most important?” He told him, “‘You are to love ADONAI your God with all your heart and with all your soul and with all your strength.’This is the greatest and most important mitzvah. And a second is similar to it, ‘You are to love your neighbor as yourself.’ All of the Torah and the Prophets are dependent on these two mitzvot.” (Matt 22:36-40). Jhan didn't just beleive it. He did it. He loved well. A few verses earlier (Matthew 22:32) Yeshua says He "is not the God of the dead but of the living." Jhan is now in the presence of the One his whole life pointed too, Yeshua our Messiah, the God of our Fathers. He knows joy, peace and has full knowlegde of the Holy One of Israel. When my time comes, I plan to see him there!